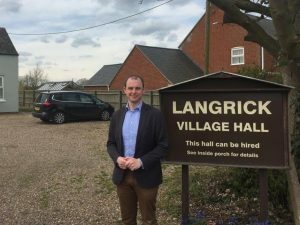 Boston and Skegness MP Matt Warman has praised the work of Lincolnshire Police in Parliament, calling for the force to receive “a fairer share of the funding cake”. 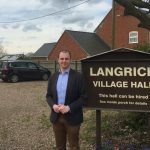 In a debate on Rural Crime and Public Services, Matt highlighted that Lincolnshire’s police funding is some £25 per head below the national average and called for a fairer distribution of funding between rural and urban areas. In particular, Matt noted the damage that hare coursing can bring to rural communities, both materially and in causing victims to feel less safe in their own homes.